Put an end to discussions and the exchange of documents and files via email and telephone. Thanks to collaborative working, in the future you will save masses of time. Your colleagues will be notified automatically about new versions of documents. You can discuss your documents and files with colleagues via digital stamps and annotations. Version statuses can be seen at a glance with AMAGNO. Work together cooperatively. Clearly see differences between versions. Edit documents and automatically notify colleagues of any changes. Use stamps and annotations on documents like you’re used to. But now do it digitally. Don’t send any more files via email – now do it through secure internal or external links. Protect your documents from simultaneous changes by others. The version comparison highlights the textual differences in colour for over 100 file formats. Different versions are saved clearly. That way everyone knows when and by whom a document has been modified. This fulfils legal standards (e.g. ISO, FDA) and ensures your revision security. 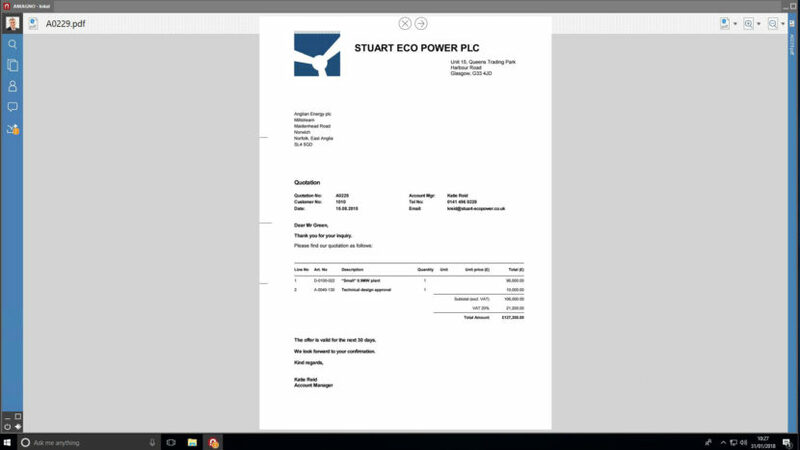 Add digital stamps or annotations to your documents as you would with a paper document. The aesthetic design of the stamp is tailored to your individual needs and requirements. Annotations for yourself and your colleagues can also be added as usual, only now digitally. Use your digital pen for personal annotations on touch-screen devices. Instead of sending files via email, these can now be shared via a secure link, with little technical effort required. The file stays on your server here, and the recipient always sees the current version (e.g. a price list, product description, quotation etc.) or a selected version. If necessary, links can be created with a password or expiry date. You maintain control over data shared externally and its status. With AMAGNO, arduous discussions via telephone or email about changes to files and documents are a thing of the past. Conduct discussions in an easily viewable way in groups or with just two people via the internal message system. In the future, you will always be informed automatically about new or amended documents.